I always get so excited when I receive flowers (don’t get me wrong, it doesn’t happen that often, most of the time I buy them for myself!) There’s just something about the tradition and meaning behind receiving (and giving) flowers as a gift. A beautiful bunch of blooms are guaranteed to bring joy, even if it might not be a day that’s particularly bright. The thought behind someone giving flowers always tops any gift for me. I’d first heard of Bloom & Wild about a year ago (I actually did a review of their branding during my time studying as a designer at Shillington, I love anything with a feminine floral style). The concept of receiving flowers through your letterbox fascinated me and I wondered how on earth the flowers would survive and thrive, having travelled through the post and onto doormats around the world. So I knew I had to order some and see for myself. I was lucky enough to be given a discount code for my first order with Bloom & Wild, and I have to say I was super impressed. Not only were the flowers beautifully packaged, ordering them was easy as their website, even on mobile, is really user friendly and simple to use. Once I'd unpacked the flowers from the box, I realised just how gorgeous they were, and not only that, they lasted a whopping two weeks! For those of you who follow me on Instagram, you'll also remember I made a wreath for the front door out of a Christmas delivery of Bloom & Wild red roses, so you can even get creative with their display if you want. I thought I’d share my experience in a bit more detail for anyone a bit skeptical, and have since ordered more, not only for just at home but for celebratory occasions too. Inside the box, not only are your blooms packaged in a way that means they are completely protected, you also get useful little info cards (these are also beautuful btw) that tell you a bit about each individual flower. There's also handy instructions that tell you the best way to arrange your bouquet, in order to keep it looking (and living) its best. This time I went for The Elsa Bouquet (having spent the best part of half an hour drooling over all the designs, I would have liked one of everything). There’s always so much to choose from, so something for every taste. 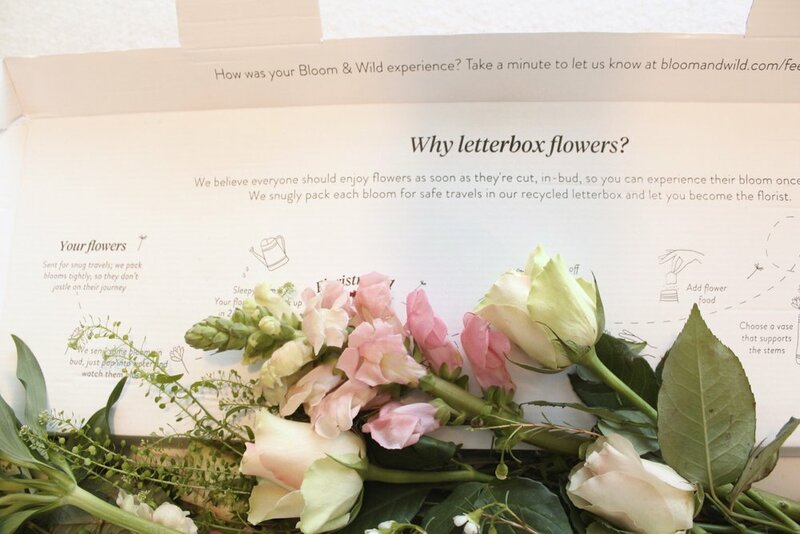 There’s a selection of letterbox flowers, as well as bigger bouquets that come with vases, seasonal and celebratory gifts and little extras, such as Prestat Chocolates or Cowshed products, should you wish to make your Bloom & Wild delivery extra special. The Elsa Bouquet is made up of pretty pastel roses, pink snapdragons, the loveliest Alstromeria ( a type of small Lily) and meadowflowers Green Bell and Waxflowers, which were my absolute fave. These had the teeniest, tinyiesy delicate little daisy type flowers with a rustic boho feel to them, totally my style. Once I’d unpacked all the flowers out of their packaging (the roses came with these ingenious nets over them which stop the petals getting squashed and damaged), I trimmed the stems according to the helpful cards. When you first unpack the stems, they can sometimes look a bit lifeless, but once you get them in some water they normally perk up and start to open, so don’t be too put off by this. 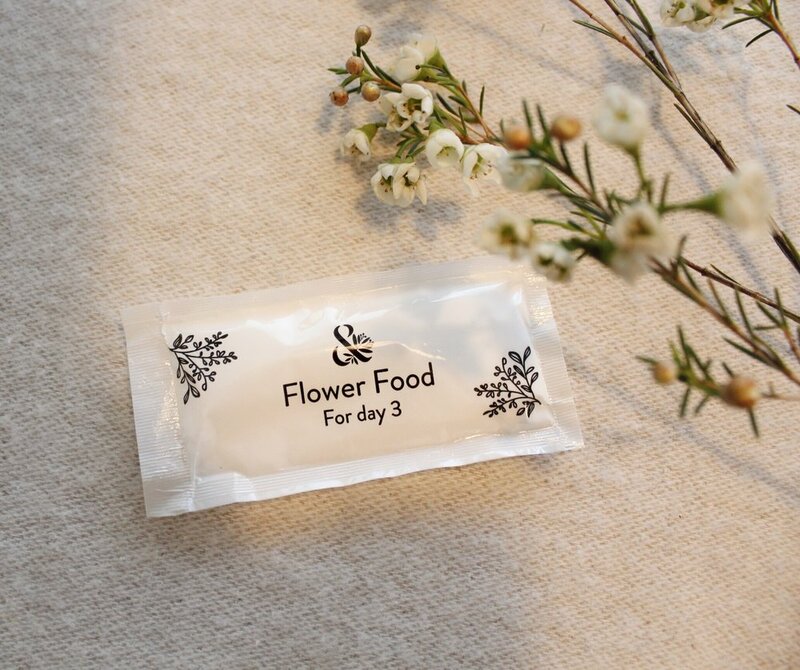 You also get two lots of flower food, one for the first day and one for the third, which definitely helps keep them fresh and lasting for longer. Then when you’re ready to go, you can refer to the little card again, for styling tips. This even tells you which stems to put where and in which order. Again I love looking at these and following along. The Bloom & Wild Instagram always has fab tips on styling your flowers, so be sure to check them out. (I also think my flower arranging skills have gone from 0, to at least 5 out of 10 thanks to these cards). 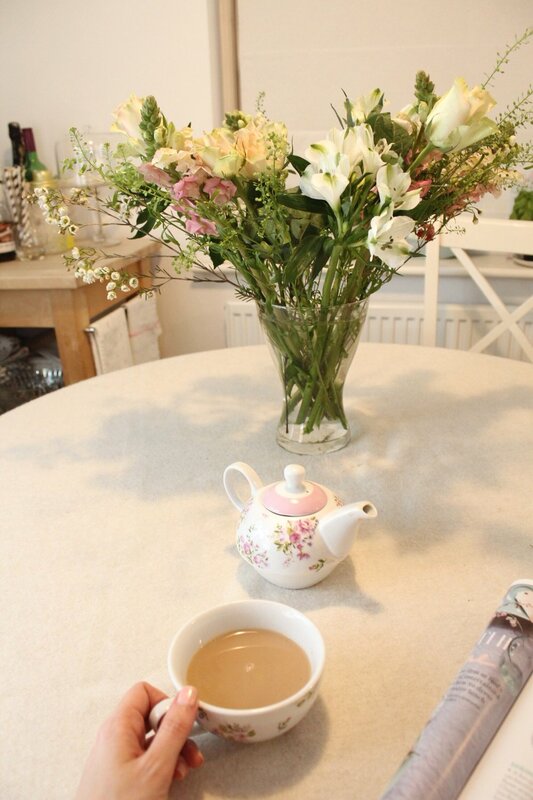 I'm really looking forward to ordering some more flowers in time for Spring, and would love to know if you have tried out letterbox flowers yet?